Red Bull Ultra Natural – the ultra-progressive snowboard competition evolves once again as Travis Rice and 15 of the world’s top riders prepare to drop into the ultimate course designed to crown the world’s best all-around snowboarder. 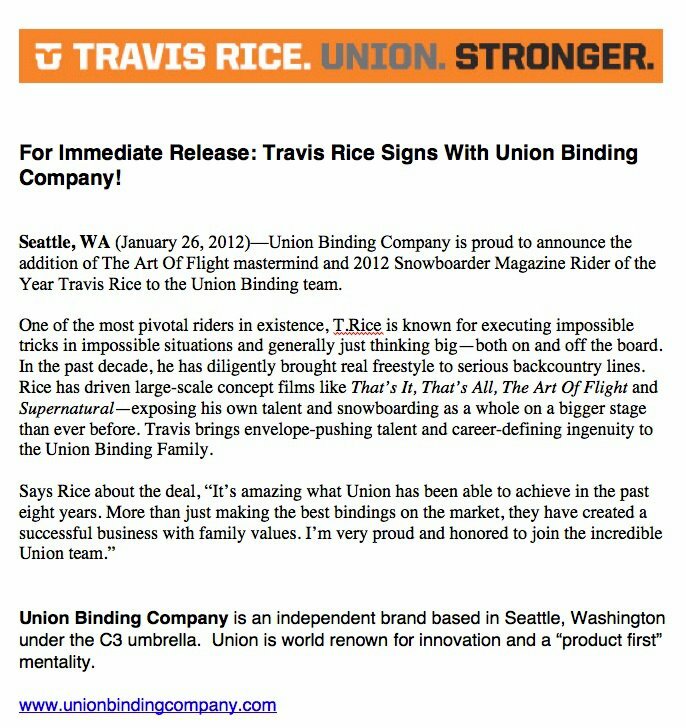 Congrats Travis Rice (and Union)! The song is a collaboration between Anthony Gonzalez from M83 and Curt Morgan from Brain Farm.